What’s the secret to keeping your forestland healthy and beautiful? 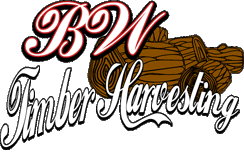 Sustainable forest management from the experts at BW Timber Harvesting. When you think of Vermont and New Hampshire, you can’t help but think of our 8.1 million acres of magnificent forests. 80 percent of that forestland is actually held by private owners, who may value it for everything from timber production and recreational activities to preservation and privacy. But it’s possible to have too much of a good thing – and when forests overgrow, they lose their health and vitality. The answer lies in sustainable forest management – which is one of our specialties here at BW Timber Harvesting. If you own forested land and you currently have a licensed forester, you most likely have a written forest management plan to protect its ecosystem, health and value. We can work directly with the forester to help set that plan in place and make sure it’s implemented correctly. If you don’t have a forester, we can refer you to one. Forester fees are passed directly to the landowner, with no markup from us. When the crowns of neighboring trees become too crowded, the canopy closes off, reducing the amount of life-giving light that reaches the ground. A tight canopy prevents the stems of trees from getting bigger. Strategic thinning to open up the space between trees can solve this problem. We can identify and remove shade-intolerant “junk” tree species, such as beech, that act as weeds to choke off the proper development of more desirable trees. We can then create a plan for regenerating the land with higher grade trees. Each forest has its own unique needs and variables. Find out what you can do to keep your forest in top condition by contacting us today.